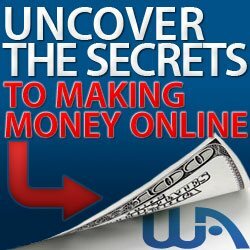 In years gone by, we’ve seen some superb websites that allow you to earn money from the comfort of your own home. Whether it’s affiliate marketing, offering web services, selling your own products, or even selling products on behalf of another company, there are a number of sites that provide the tools you need to excel. In recent times, there’s been one gaining more attention than most and we’re going to provide you with the basics here today. 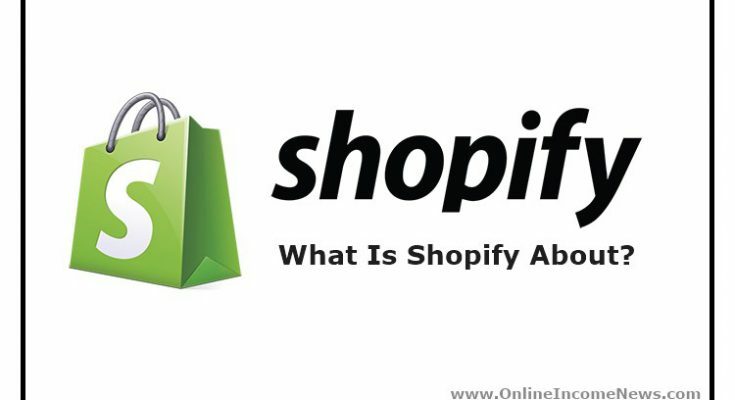 Starting with the basics, Shopify is an e-commerce solution suitable for businesses of all sizes. Active on the internet for over 10 years, the very first e-commerce store offered snowboarding equipment to the world. Now, there are 500,000 e-commerce stores available and over $40 billion worth of sales have been completed. If you’re wondering whether or not you can trust the brand, you have nothing to worry about because they are a legitimate service with 2,000 employees split between five offices around North America. At first, the website was centered around the idea of starting a web store but now the services have expanded and they can help with selling on Facebook, Pinterest, and even face-to-face selling. 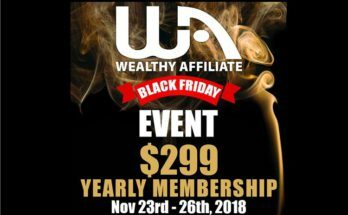 Depending on which membership option you choose, you could have access to 24/7 support, shipping label discounts, fraud analysis, website and a blog, manual order creation, discount codes, advanced report builder, abandoned cart recovery, professional reports, real-time carrier shipping, and even gift cards. Whether you’re starting a business from scratch or you already own a physical store and want to become available online, there should be a membership option for you. 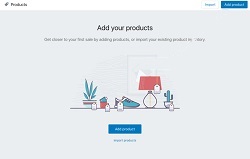 To get started with Shopify, there are four options and the features you have available will depend on the package you choose. However, all packages come with a few basics as standard and this includes 24/7 support, unlimited product uploads, files storage, no setup fees, no transaction fees, and no bandwidth fees. Lite ($9 per month) – First and foremost, the Lite option is just as the name suggests and is the only package that doesn’t offer an online store. Instead, the focus will be on selling on Facebook, Pinterest, and on your own website via a Shopify Buy Button. Furthermore, you’ll have access to a shipping label discount of 50%, fraud analysis, discount codes, and manual order creation. If you aren’t looking for an online store just yet, this is the ideal place to start. Shopify Basic ($29 per month) – This time, you have your own online store (we’re going to show you how to get it set up a little later!) as well as the opportunity to have a website and blog. In terms of the other features, they remain largely the same since the online store is the main addition. Shopify ($79 per month) – If you’re willing to pay $79 each month, the list of features extends to professional reports, abandoned cart recovery, and gift cards. In addition to this, the shipping label discount increases to 55%. Although the price increases somewhat compared to the previous package, these are all valuable features that could make the difference between struggling in the market and making the next step towards success. With abandoned carts being particularly damaging to businesses these days, targeting this market can be lucrative. Advanced Shopify ($299 per month) – Once again, the price jump is noticeable but this final package will earn you every single feature on offer. Along with shipping label discounts of 60%, the credit card rates are reduced noticeably, you receive access to an advanced report builder tool, and you also have real-time carrier shipping to boot. In our opinion, the packages are nicely spaced out in terms of pricing and features and this allows you to enter at the point you feel necessary. What’s more, you can even take advantage of a free trial and this is always great news. What is Shopify about? With this information, you should now have everything you need to know about the packages on offer and whether they suit your needs. Now, we want to take you through the process of opening your own store before then moving on to the pros and cons of choosing Shopify. By the end, you’ll be in a great position to decide your future! 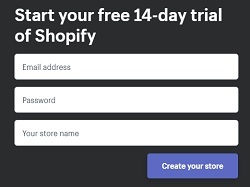 Step #1: Sign Up – Firstly, you’ll need an account with Shopify to get started which means you’ll have to enter some basic information about yourself such as email, password and your store name. At this point, we can explain the first thing we love about this platform; the fact you can enter ‘I’m just playing around’ if you’re just testing the site. If you know what you want to sell, you can also enter this before clicking ‘I’m done’ and continuing. Step #2: Create Your Online Shop – Once you’ve signed in and everything has been processed, you’ll reach the admin screen and this is where you can alter the look of your store. For beginners, everything will be laid out nicely so you shouldn’t forget any basic tasks such as adding products or changing your design (be sure to watch the video below and all will become clear!). Depending on whether you’re dropshipping or selling your own products, this will also help to make your decisions as you move through the process. With the website itself, Shopify has a specialized store for themes and this is perfect news because it means not all storefronts look the same. With all the themes available, they’re supported by the owners which means that errors will be fixed and you’ll receive regular updates over time. Without having to worry about coding and having a degree in website design, there are also customization options to really make the storefront your own. If you do want to go a little deeper and access the CSS and HTML of your store, the company offers ‘Shopify Experts’ who you can hire to make adjustments. With this, you have complete control over your store and we’ve yet to see somebody disappointed with the choice available. Whether you want to sell fishing lines or shoes, you can find the theme that matches the niche. Step #3: Edit Your Settings – Once your store is up and running, you can then make simple changes in the settings. Despite being simple, they make a tremendous impact on the appearance of your store. For example, coloring will be your main option and this allows you to choose a color that matches your branding if you already have a physical store. If not, be sure to take your time with this decision. After this, you can then upload logos and slides, change your font, choose the number of items on each page, and make adjustments depending on your preference. Step #4: Add the Products – From the dashboard, you’ll see plenty of options on the left-hand side so we recommend spending some time perusing this menu. While doing this, you learn where everything is and you won’t forget about certain features. For now, though, we’re sticking with the basics and your next step should be adding the products to your store. For each product, you’ll enter the name, description, type, vendor, price, shipping method, inventory policy, barcode, etc. For your business, this is where the magic happens so edit the page and make it look unique with a clear layout. By changing the font and adding bold and underlined text, you can remove the cluttered look and increase your chances of seeing a sale. Of course, you should also pair this information with images that best show off your products. If possible, keep image sizes the same so there’s a uniformity to your store and all products. From here, you can complete the product and it will go live to your profile very soon. As an additional note, you can actually set up groups and collections of items which are particularly helpful for clothing, sizes, colors, and more. 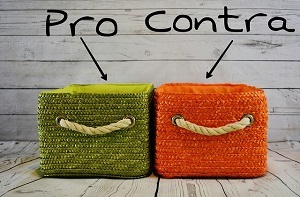 If your business sells products from different ‘departments’, these collections can help differentiate one from another. 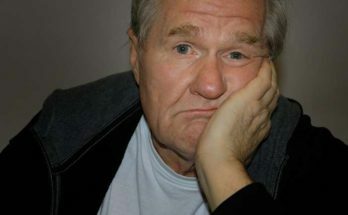 If your store looks a little messy with no real way of categorizing the products, it can get a little confusing and you don’t want to lose customers this way when it’s something fixable. Step #5: Go Live – Finally, check the general details of your store and make sure all the information has been filled out regarding your business. As well as business information, this includes taxes, shipping, and more so check twice and even have somebody else look at it for mistakes. Using the ‘Bogus Gateway’ feature from Shopify, you can even test your checkout system. If you’re happy, go ahead and click the magic button and your store will go live to the world. If you have no experience with domain names, you can simply buy one from Shopify and your store will use it moving forward. Costing around $10 per year, it certainly won’t break the bank and you have the security of Shopify as support. Alternatively, more experienced internet users might want to buy their own domain name before then redirecting the DNS records. What is Shopify about? With any review we provide, we always like to come back to the main question and a list of pros and cons should give a good overview! 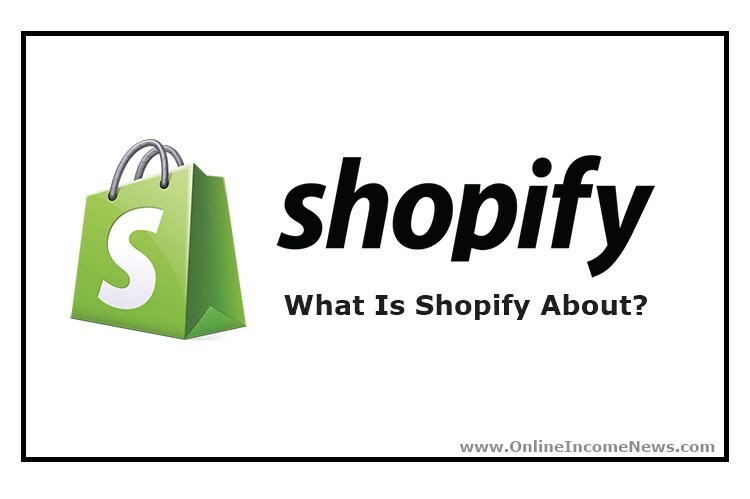 We hope to have provided a solid answer to the question, What is Shopify about? . If you’re selling your own products or dropshipping, Shopify is a solid option and it’s easy to get started. With specialized themes available for your store, you can really get to work on branding which you can then follow up on social media. All things considered, Shopify is a brilliant platform to get your business started or take it to the next level! 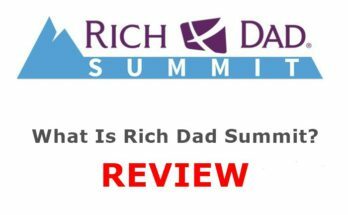 I hope you enjoyed this review and if you have any questions about Shopify or want to leave your own personal review, leave a comment below. 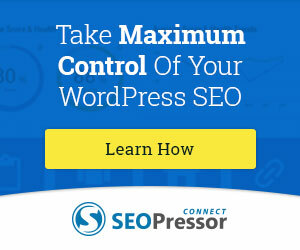 Next Article What is the Best Free Website Builder?